HomeShopDesignsFunny Designs...One day I'm going to be the Pope! 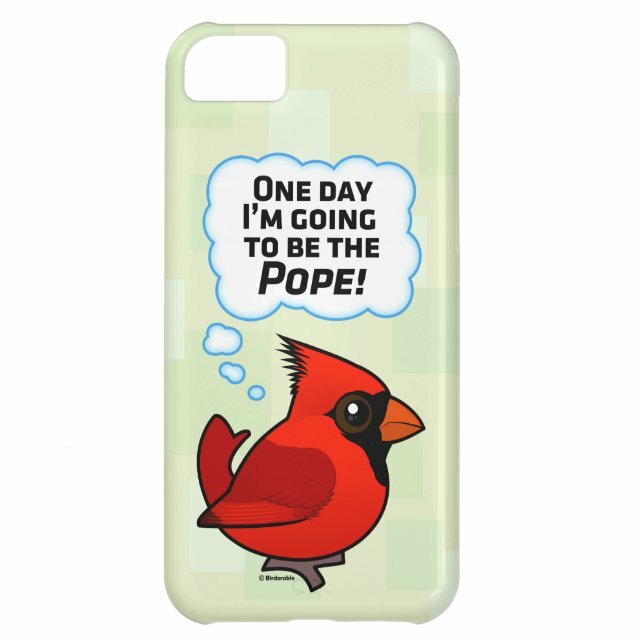 This cute cartoon Northern Cardinal, a common backyard bird in North America, thinks: "One day I'm going to be the Pope!" This is a fun original cartoon design from Birdorable! You can totally customize this gift! Add text, change the color, move the design around, pick a different style - make it your own! Protect your iPhone 5C with a customizable case. This form-fitting case wraps the back and sides of your iPhone 5C with a flexible plastic shell, while still providing access to all ports and buttons. Designed for the iPhone 5C, this lightweight case is the perfect way to show off your custom style.